@Time4EE | Electronic Engineering - Articles: Are you ready for the new generation? Articles Home » Commercial Announcement » Are you ready for the new generation? Are you ready for the new generation? WIZnet has just launched a new W7500 & W7500P-based Serial to Ethernet modules (S2E modules), which are pin-to-pin compatible with WIZnet?s existing S2E modules ? WIZ1XX series. Although the existing S2E modules were used in various fields, they were based on different MCU platforms; and thus different configuration tools & configuration messages for setting had to be used, and moreover, it also resulted in complicated technical support. To minimize complications, Wiznet standardized the command sets and used the same software module for the new WIZ750SR & WIZ752SR series. For the new WIZ750 & 752 series, WIZNET also released a CLI (CommandLineInterface) based configuration tool because they registered some complaints about the GUI configuration tool, which runs only on Windows OS. The new config tool is implemented in Python and can operate on any OS that Python can run on. Batch tasks can be performed from now on. It is easy to understand the product name by looking at two parts; first part is the ?category? and the second part is the ?compatible product?. Let?s have a look at the below examples. 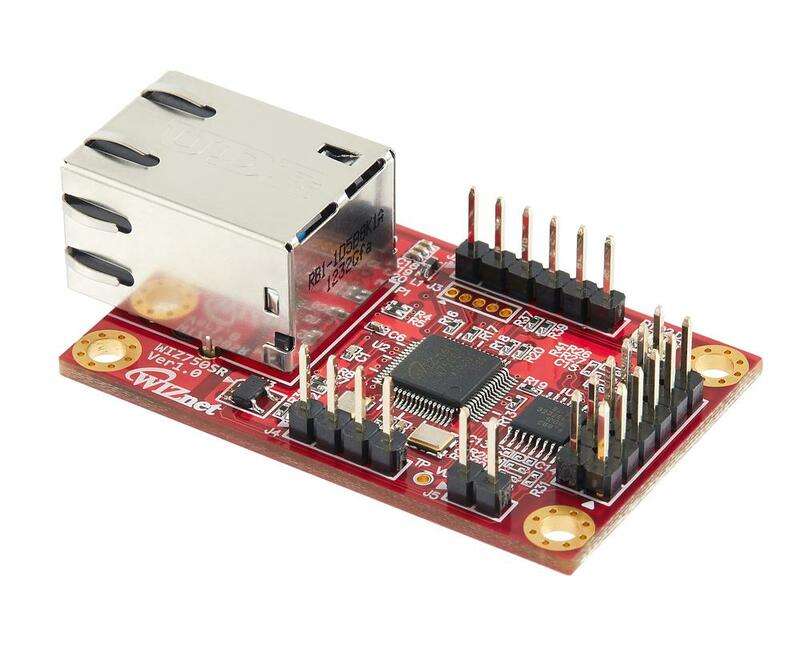 Wiznet?s new S2E modules support various serial interfaces: 3.3V TTL signal, RS-232 / 422 / 485 and the manufacturer provides hardware customizing service upon review. Developers from WIZNET also posted the firmware source codes on their Github page. You can download and customize source codes according to your own needs, or you can request SW modification directly from WIZnet. Products of WIZ750 and WIZ752 series are not available at the moment; we will inform you about the availability soon.